Four O'clock Flower (Mirabilis jalapa): growing, planting, caring. 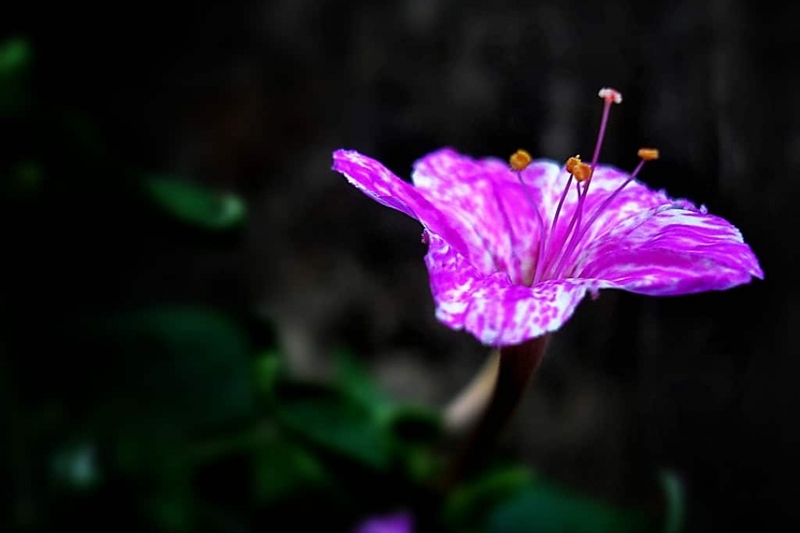 Mirabilis jalapa - the four o'clock flower - is the most commonly grown ornamental species of Mirabilis plant. A relative of the Dahlia, Mirabilis jalapa is a perennial native of Peru, often cultivated as an annual. It is very easy to sow, and re-seeds itself spontaneously. Its flowers with different colours grow simultaneously on the same plant. The flowers usually open from late afternoon (around four o'clock) onwards, hence the first of its common names. Flowers then produce a strong, sweet-smelling fragrance throughout the night, then close for good in the morning. New flowers open the following day. Plant in the spring in cool, deep, well-drained soil, half-shade. You can plant rustic fuchsia in the ground, provided you bury the base of the stem 5 cm and shelter them from cold winds. In pots, take a container at least 40 cm in diameter, and fill with potting soil and loam. Water twice a week in the first month, and in case of drought in the summer. In pots, water at least twice a week. The four o'clock are sensitive to the aphids at night which damage the leaves but do not put the plant in danger. In the spring, you can see slug damage, so anticipate by making a suitable offering at the other end of the garden. Take inside your four o'clock, and keep the pots barely wet during the winter. For the ones in open soil, dig up the tubers, and store them dry until spring. In the month of May, take out your potted four o'clock, and replant your tubers dryed and sheltered. For the four o'clock in open soil, protect them after the plantation with a mulch composed of compost, and covered with leaves or crushed wood.